Best:While Perseids peaks on August 12th, we recommend observing starting August 1st, way before August 17th's full moon, for maximum visibility. 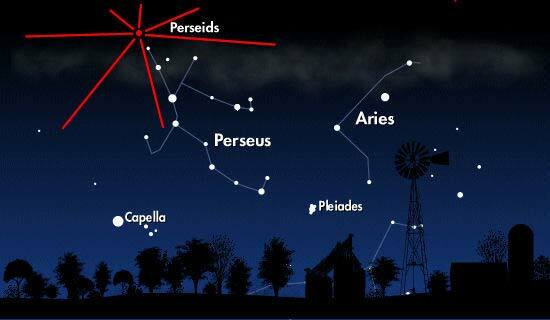 Moon phase will be fair for gazing at the Perseids meteor shower. The peak of this shower coincides with the Waxing Gibbous Moon, so the moonlight may interfere with viewing Perseids meteors. 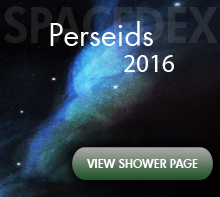 In 2016, the peak of the Perseids meteor shower will coincide with a Waxing Gibbous Moon. This will not produce favorable viewing circumstances for observers expecting to get the full effect of this yearly summer experience. With upwards of 80 meteors per hour predicted, it may well be worth staying out to catch quite a few impressive bursts of light streaking through the night sky, even though fainter Perseids may not be visible due to moonlight. On average, under completely clear skies, and in complete darkness, observers may witness 50 to 80 meteors per hour; but these rates can exceed up to 200 meteors per hour in rural locations. Be aware that local conditions such as light pollution, cloud cover, and precipitation will also play a major role in the number of meteors you are likely to see. Watching a meteor shower is sometimes takes a great deal of patience, but if you wait long enough, you should be rewarded with a an experience that won’t soon be forgotten. Happy gazing! Some Catholics refer to the Perseids as the "tears of St. Lawrence", since the tenth of August is the date of that saint's martyrdom.